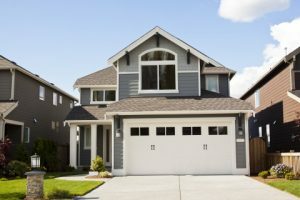 Whether you plan on selling your home in the near future, or you’re just trying to make your home look good to anyone who passes by, you’ve probably given some thought as to how you can improve your home’s curb appeal at one point or another. 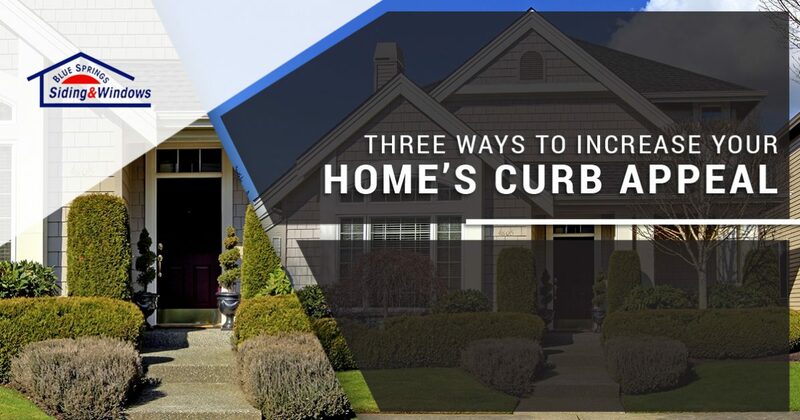 In today’s post, we’ll provide you with three easy ways to improve your home’s curb appeal. 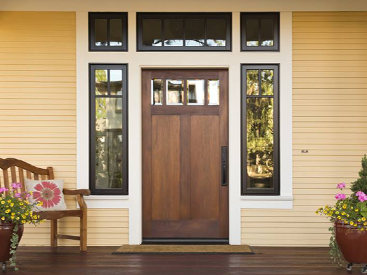 When you’ve finished reading this post, get in touch with Blue Springs Siding and Windows to learn more about window installations, door replacements, and other ways we can help you increase your home’s curb appeal! Your home’s windows are one of the first things people see when they walk by or approach your home, and as such, it’s important to ensure that they don’t look shabby or rundown. You may not actively notice your windows as you go about your day, but take some time to inspect them through the eyes of a potential visitor. Be honest with yourself — do your windows detract from your home’s overall beauty? Cracks in the windows, or damage to the surrounding frames, can make even the most beautiful homes look like scenery from a scary movie, so take notes on any visible signs of damage. If you have damaged windows, or your windows are simply old and outdated, then come by the Blue Springs Siding and Windows showroom to speak to an expert about a window installation for your home. 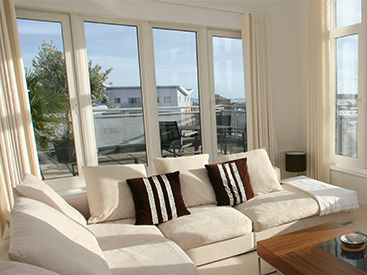 We have an amazing selection of windows from which to choose, and you may even find a window that completely transforms the look of your home. A picture window installation in the family room, for instance, could provide you with an exceptional view of the surrounding area while also filling your home with natural light. On the other hand, a bow or bay window installation could help you create the reading nook you’ve always wanted. No matter what you’re looking for or what your budget is, we’ll help you find the perfect window installation for your home. Just like your windows, your home’s siding is one of the main things that people will notice about your home. If your siding is peeling away after a storm, or the paint has become chipped and scratched over the course of several years, then your home probably isn’t living up to its full potential. You don’t want your siding to deter potential buyers, and you certainly don’t want to be reprimanded by your local homeowner association, so be proactive and invest in a siding installation to ensure that your home is a bright spot in the neighborhood. You can use your new siding as a selling point if you plan on listing your home in the near future, and potential buyers will love the fact that they won’t have to worry about a siding installation. At Blue Springs Siding and Windows, we’re proud to offer top-of-the-line siding products to our customers. 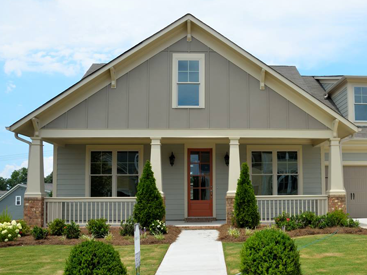 We can provide you with a vinyl siding installation if you want a high-quality siding option that will last for years to come, but we can also provide you with a James Hardie siding installation if you’re looking for one of the most durable siding options on the market. No matter which kind of home siding you choose, we’ll provide you with a lifetime guarantee on all of the products and services involved in your purchase. Your home is an investment, so take pride in the little details that really make the space your own. From potted plants outside your home to cute knick-knacks on your patio and deck, taking the time to improve your home bit by bit can seriously improve your home’s curb appeal. Buyers want to picture themselves making the space their own if they were to buy your home, so providing them with an idea of what they could do with the space can help your home remain memorable. These are just a few of the ways in which you can improve your home’s curb appeal. Stay tuned for future posts in which we’ll provide you with even more tips and ways to improve your home’s beauty. If you’re ready to get started with a window installation, siding replacement, or any of the other services we offer, then get in touch with us by clicking the button below! We look forward to working with you soon.